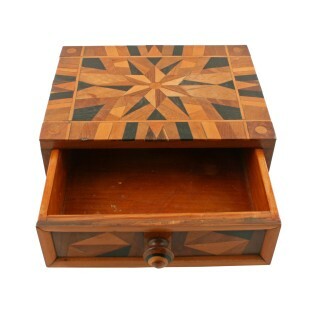 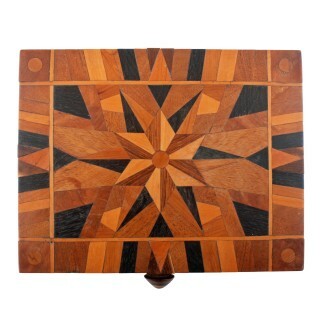 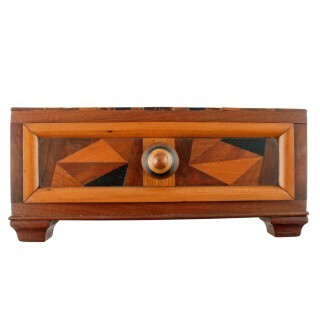 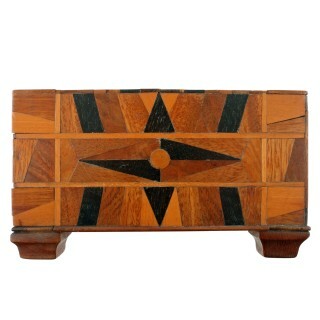 A late 19th century Victorian parquetry inlaid box. 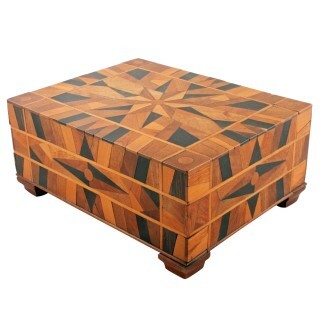 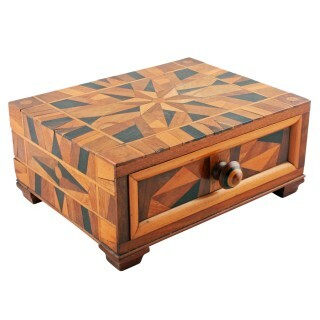 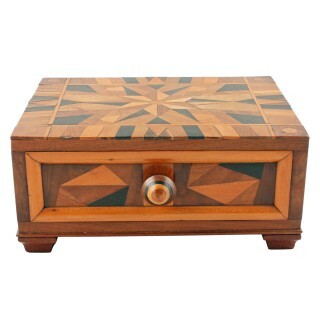 The box has parquetry inlays of many samples of wood with a star shape in the centre of the top and a single drawer at the front. 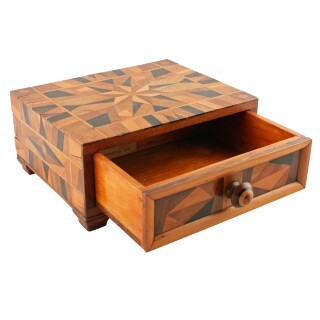 The drawer front has a satin birch bead edge, a turned knob handle and is pine lined. 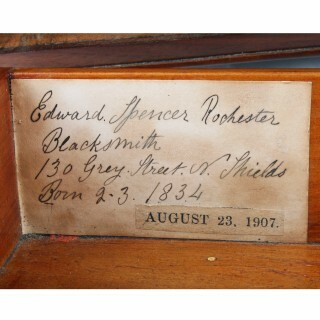 Inside and to the back of the drawer is a paper hand written label that says “Edward Spencer Rochester, Black Smith, 130 Grey Street N Shields, Born 2.3.1834” and below on the label “August 23 1907” which we believe was his death.